Point2 Homes gives you far more than a simple list of houses for sale. Get instant access to a lot of relevant information about Orillia, ON real estate, including property descriptions, virtual tours, maps and photos. The search results pages also have a wealth of information on Orillia, ON, if you scroll all the way down. 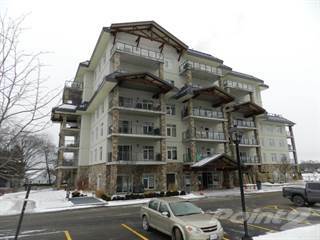 There are 139 houses for sale in Orillia, ON. 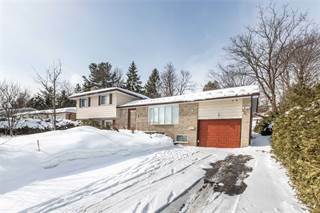 Searching homes for sale in Orillia, ON has never been more convenient. With Point2 Homes, you can easily browse through Orillia, ON single family homes for sale, townhomes, condos and commercial properties, and quickly get a general perspective of the real estate prices. Also, you’ll never miss a bargain if you filter listings based on house price drops in the past six months. Use the map view to find Orillia, ON homes and apartments for sale, based on amenities or city features that you may want close by. You can close in on a specific neighbourhood or area by simply drawing around them with the polygon or radius tools. Stay informed about the latest entries on the real estate market by saving your searches. This way, you get new listings in your inbox, daily or every week, based on your preferences. If you’d like to get in touch with a professional, agents are displayed next to their listings, and they’re easy to contact through the online forms. 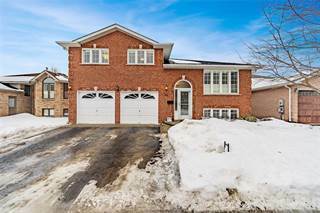 If you want more options, you can click the Tools tab and Find an Agent, and you’ll get a list of helpful and knowledgeable real estate agents in Orillia, ON. Visit the Point2 Homes blog and you can find up to date expert advice on many markets throughout Canada, regular market reports, neighbourhood scoops in cities throughout the provinces, real estate deals and useful recommendations. Orillia, Ontario has a population of over 30,000 people and is located in central Ontario. The city is bordered by Lake Couchiching and Lake Simcoe. Orillia spans 28.61 square kilometers in Simcoe County and is near the communities of Atherley and Prices Corner. It is known as the Sunshine City and its large waterfront areas attract a good number of tourists each year. The area’s history dates back several thousand years. The major industries in Orillia are manufacturing, government services, customer service, and tourism. The major industries in Orillia are manufacturing, government services, customer service, and tourism. The area’s biggest employer is Casino Rama, a large casino, hotel, and entertainment complex. It is located on the nearby Rama First Nation reserve. Manufacturing businesses in Orillia produce industrial equipment, moulded rubber products, and aerospace and automotive components. A large call centre is also located in the city. Orillia has an Economic Development Department, which helps to promote and support businesses and entrepreneurs in the area. It is also involved in a number of projects and strategic initiatives to boost the city’s economy. There are more than 21 acres of park space along Orillia’s waterfront, with a boat launch, boat trailer parking, and sandy beaches. Fishing, hiking, golfing, camping and hunting are all popular activities in and around Orillia. In the winter, the city offers both cross-country and downhill skiing. Nearby Bass Lake Provincial Park also provides outdoor recreation opportunities. Orillia has a farmer’s market, museums, art galleries, and theatres to keep residents and visitors busy, as well as numerous shopping and dining options. Many shops in the city’s downtown area are in buildings that have been standing for more than a century. The city also holds many festivals and events throughout the year, including a winter carnival, a folk festival, a classic car show, and a jazz festival. The city is divided in three main areas: the Center, the North and the South. The central section of Orillia, which includes the city’s downtown area, has many entertainment, dining, and retail options, particularly along the waterfront. There are a number of parks and greenspaces interspersed with residential areas. The Lakehead University Orillia campus can also be found in this section of the city. Orillia’s northern section is a mix of homes and businesses, including a retail mall. The Couchiching Golf and Country Club is located in this area of the city, as well as a couple of smaller parks/greenspaces. There are a number of auto and recreation vehicle businesses located along Highway 11. In the southern section of Orillia, larger parks and greenspaces can be found, as well as plenty of waterfront. This area is also a mix of homes and businesses, and is where Highways 11 and 12 intersect. The Georgian College Orillia campus is located here, as is the Ontario Provincial Police General Headquarters. The northern section of Orillia offers a mix of single-family homes and townhome-style options, most of which are affordable and many of which include at least a single garage. There are also a number of commercial properties – some stand-alone, and others in multi-tenant buildings. In the central section of Orillia, older single-family homes are large and affordable, while large newer builds tend to cost a bit more. Most homes have garages and are on large lots. There are some condo options available, mostly in newer built buildings. Commercial spaces are also available and include already established buildings or those in the midst of development. Real estate in Orillia’s southern section is a mix of large single-family homes, condos, vacant land, and commercial space. Smaller single-family homes in this area are quite affordable, while larger new homes cost more. Waterfront condos have higher price tags than those that are farther inland. The table above is based on data from the Canadian Real Estate Association (CREA) National MLS® Report for April 2016 (the latest information available). Median prices are based on data from www.canadianrealestatemagazine.ca. Schooling in Orillia is offered in both French and English. There are five publicly funded Catholic elementary schools (one French and four English), as well as nine public elementary schools operated by the Simcoe County District School Board. There are two publicly funded Catholic secondary schools (one English and one French), as well as three publicly funded secondary schools (including an alternative secondary school). Orillia also has two private schools. Post-secondary options in the area include Georgian College’s Orillia campus, which offers courses in applied arts and technology; Lakehead University’s Orillia campus, which has programs in business, science, education, and social work; and an Adult Learning Centre, where adults can earn their high school diploma.